Facial hair transplant is the way out if you’re having problem to grow a thicker beard. Men look masculine and handsome in perfect shaped trim beard and those who do have patchy beard fix it with beard transplant which rejuvenates you to look smart. Beard transplant is procedure somewhat like a hair transplant process designed to extract grafts from the normal donor hair which is usually from the sides or the back of your head. It involves removing of the hair by the expert which almost harmonize your facial hair and thereafter prudently move it to the inclined area. Since hair transplant following baldness is usual for men, consequently its demand for hair reproduction particularly for the beards is sloping upward; this aspect has been regularly certified to the accelerating hair transplants in recent years. Beard hair transplantation, facial hair transplant in men is the foundation for good personality. Since undoubtedly, it is a lovely appearance to own thick and fuller nice cut beards and mustache in most manifestations of a culture. 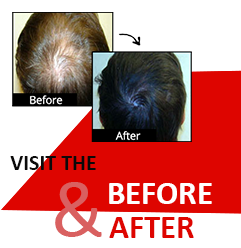 The donor’s area is the back region of the head for the beard hair transplant similar to the head hair transplant. The hair follicle is then moved to the surface of recipient area of the patient that is the beard with no hair or where the growth is thin. Though, the surgical process would take few hours depending on the size to be treated. Afterwards, at first within weeks transplanted hair have been gone, the beard grows with glossy healthy way with volume. So why do late!!! Get up and fulfill your dream of being beard faster and better. Therefore, as soon as the facial hair has grown, it can be shaved, trimmed and groomed as usual.